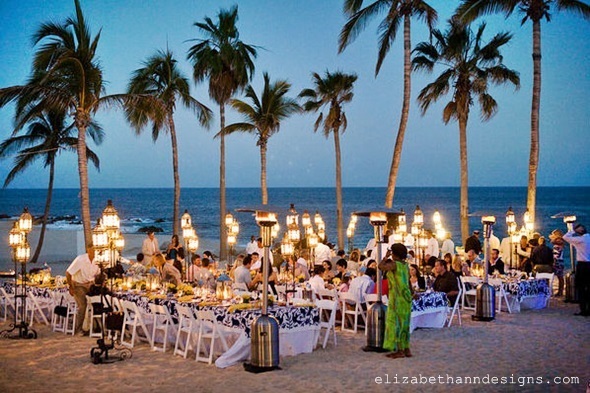 If you’re hosting your wedding on foreign shores, it’s already understood that you’re a couple that enjoys travel. Here’s five ways you can make your wedding theme reflect your wanderlust. For couples that love nothing more than jetting off to exotic locations across the world, a destination wedding seems like the obvious choice. Meanwhile, for husbands and brides-to-be that are planning on saying their vows in Thailand, hosting a travel-themed wedding takes their love of fabulous holidays to the next level. By choosing to marry in an exclusive private villa, a couple can indulge in the luxury of a customized wedding, fully tailored to encapsulate the individualities of two people. 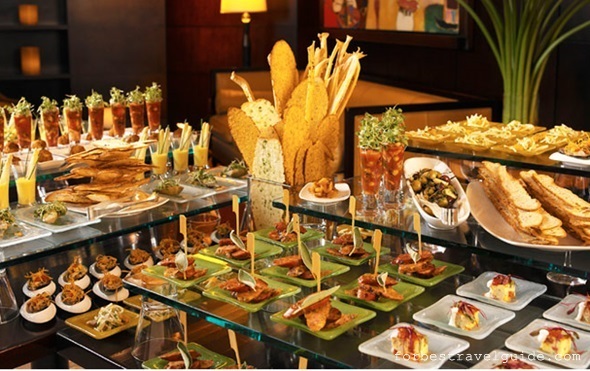 A travel-themed destination wedding beautifully showcases their personal tastes, whether that’s serving up a sumptuous feast of world foods or hosting a travel-themed costume party for their rehearsal dinner. Below are a few great ideas. 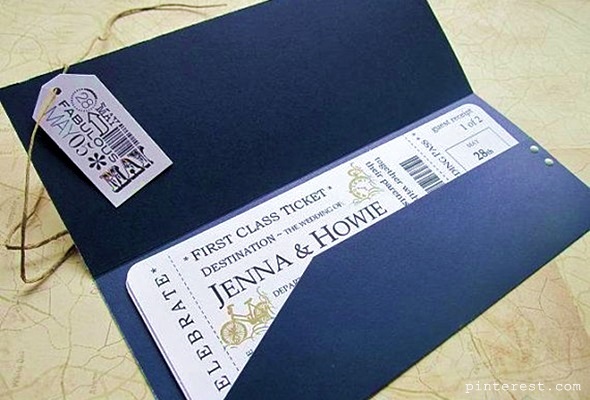 Kick off your travel wedding theme early on by designing save the date cards designed to look like boarding passes. This is also an ultra-stylish way to let your guests know that they are invited to a destination wedding in the Land of Smiles. For the official invitations, you could have personal passports printed up for each guest as an elegant continuation of the travel theme. Finally, ensure all correspondence is sent out in old fashioned Air Mail envelopes to create real wow factor. There are a million ways to incorporate the luxury travel theme into your wedding décor, however, the idea we love most of all is personalizing the décor and centrepieces to reflect all of the places the bride and groom have visited as a couple. 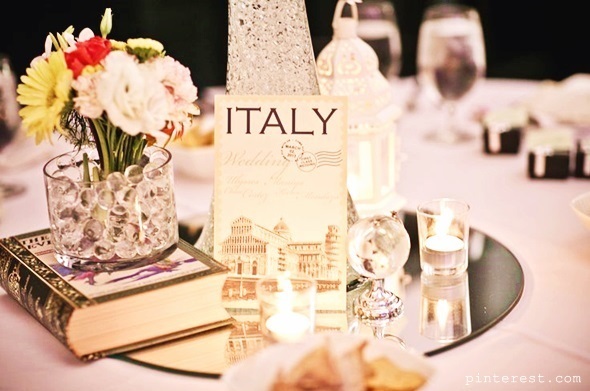 Start by naming each table at the wedding breakfast after the destinations you have visited together. The centrepiece could then be themed around traditional art from that country. For example, a Thailand-themed centrepiece could be overflowing with fragrant frangipani and orchids and embellished with lavish Thai silk. Your guests have finally touched down in Thailand, so it’s time to welcome them to your wedding celebrations by hosting a memorable rehearsal dinner. If you’re going for the travel theme, have each guest prepare a fancy dress outfit to represent a country. Not only will this be something fun for your friends and loved ones to think about in advance of the event, but costumes will also act as an excellent ice breaker for those that haven’t met before. The photos from this event will also provide plenty of entertainment value when you look back on them in years to come. One of the best things about travel is the sheer number of exquisite flavours you will sample in different countries. From creamy linguine with crunchy prawns to fiery curries, there is a wealth of different cuisines you could choose from for your wedding day feast. If you’re hosting the event in one of Thailand’s private villas, you will be able to plan each and every aspect of the menu to establish a world foods theme. A buffet will also give guests the chance to try as many different dishes as they like, with irresistible plates of sushi, dim sum and luscious Thai noodles all on the same table. Getting guests off their chairs and onto the dancefloor is something that every bride and groom aims to do once the evening portion of the celebration rolls around. One way to do this is to get your DJ to blast out different tunes from around the world, or even to have live performers do the same. If your guests are feeling a little shy, kick things off with an exhilarating show of Thai music. 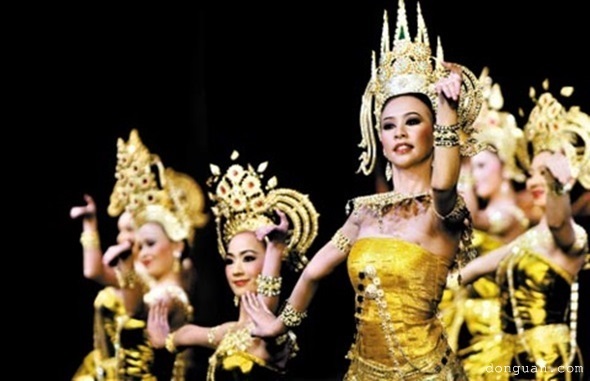 Hiring a troupe of traditional dancers is one way to highlight the travel/cultural theme, followed by a Thai drum troupe to really get people moving.